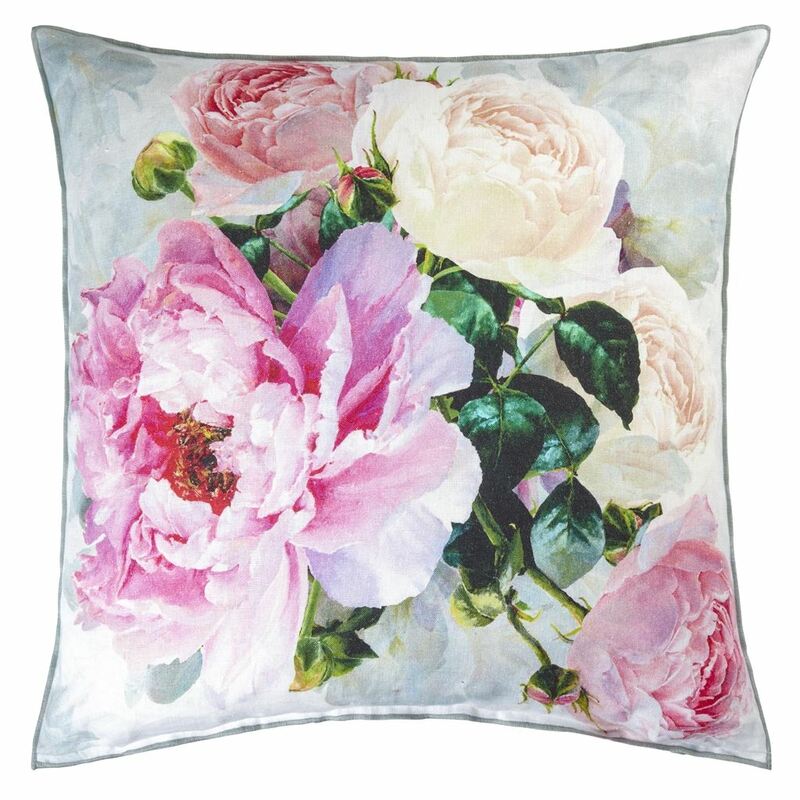 A new style of floral in mesmerising realistic detail creates this luxury cushion. 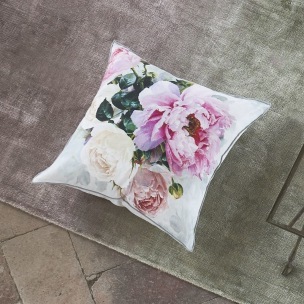 Dramatic peonies and roses with a cool grey painterly ground are digitally printed on pure linen. 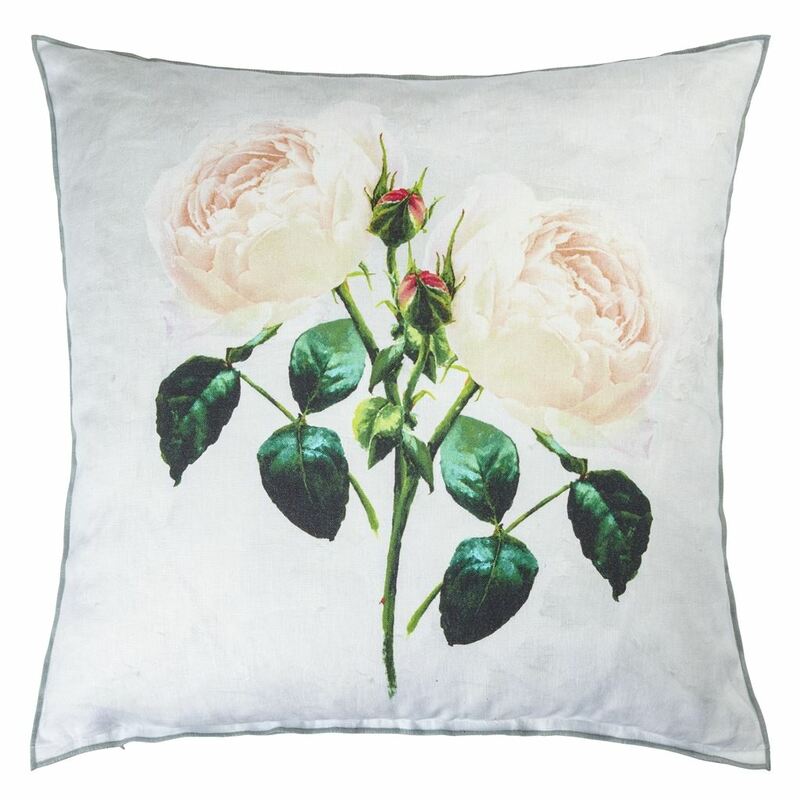 This large floral cushion has a beautiful detail of roses on the reverse and is finished with a contemporary overlocked edge. Coordinates beautifully with our best-selling Brera Lino linen cushions.